Whistleblowers are the most powerful tool we have in the global fight against corruption. Multiple U.S. government agencies have recognized the effectiveness of working with whistleblowers and have widely publicized whistleblower programs that provide a confidential and anonymous system of reporting, clearly defined rules and procedures, and monetary rewards for whistleblowers whose information leads to a successful enforcement action. These programs have been incredibly successful causing rates of prosecutions to skyrocket. But those who try to speak out against the illegal wildlife trade often risk their lives with no safe, confidential, or effective way to report criminal activity to authorities. Like the global trafficking of humans, drugs, and arms, wildlife trafficking is a major security threat and a corruption fueled multi-billion-dollar industry run by global criminal networks. Major U.S. wildlife laws require specific U.S. government agencies to work with whistleblowers who report wildlife trafficking and other wildlife crimes. However, these agencies have failed to implement a whistleblower program for over thirty years. We must protect the everyday heroes who want to do the right thing and expose the underground networks running the global illegal wildlife trade. Demand that the Secretaries of Interior, Commerce, Treasury, and Agriculture, including U.S. 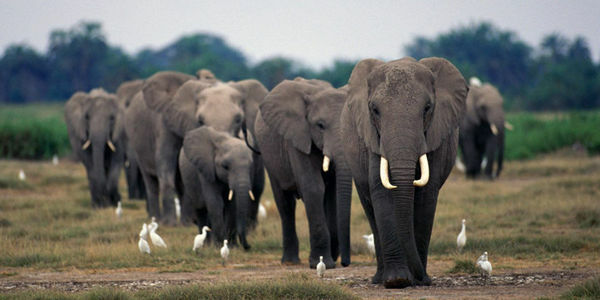 Fish and Wildlife Service and the National Oceanic and Atmospheric Administration (NOAA), who Congress entrusted to implement these laws, establish a whistleblower program for global wildlife crime. The wildlife extinction crisis we face is pushing entire species to the brink of existence. Extinction is forever. Your office has a powerful and proven tool it can employ in the fight against wildlife trafficking: wildlife whistleblowers. U.S. wildlife protection laws - such as the Lacey Act, Endangered Species Act, and Fish and Wildlife Improvement Act, among others - include provisions to protect and incentivize people to report wildlife crime. These powerful, underutilized provisions have been on the books for over 30 years. - Recognizing the full range of whistleblowers — including organizations like NGOs — under the laws. Agency heads responsible for implementing existing whistlebower programs that combat fraud and securities and tax violations have reported effective whistleblower programs are a "tremendously effective force-multiplier, generating high quality tips, and in some cases virtual blueprints laying out an entire enterprise." To combat the extinction crisis we must empower those on the ground--everyday heroes with vital information who can be the eyes and ears of enforcement. Every minute, we are losing vulnerable animals to the poaching crisis, and irreparable damage is being inflicted on ecosystems by illegal fishing and deforestation. We must protect wildlife whistleblowers and incentivize them to report wildlife crime.